Venue is a theme created for businesses who run a location based service such as an adventure park, a water slide park, or a private zoo. Create beautiful and informative pages, display quick important info persistently on all pages and allow visitors to purchase tickets anywhere they are. The theme contains great shortcodes and great widgets and plays nice with 3rd party plugins to let your created the website your business needs. 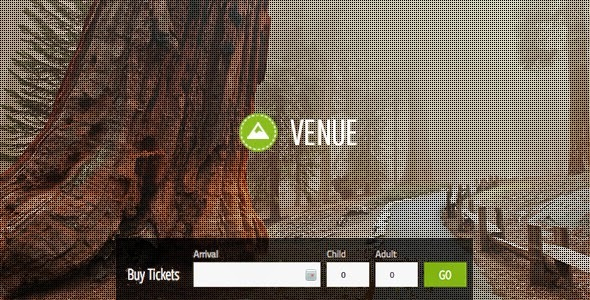 Item Reviewed: Venue WP Theme for Location based Service 9 out of 10 based on 10 ratings. 9 user reviews.